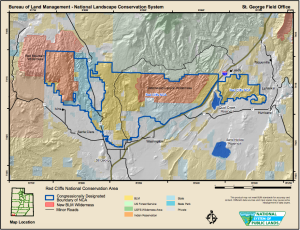 ST. GEORGE – A judge has granted an extension of a June 30 deadline for the Bureau of Land Management to finalize resource management plans for Washington County’s two national conservation areas. U.S. District Court Judge Clark Waddoups of the 10th Circuit Court in Denver granted a motion Thursday allowing an extension of the court-ordered management plan and setting a new deadline of December 31, a move which county officials support. “The county had passed a resolution supporting (the extension) because part of the reason that they are taking longer is because they are taking time to sit down and seriously address the concerns the county’s raised,” Deputy Washington County Attorney Eric Clarke said. The management plans have been the subject of heated debate among residents, county officials and conservation groups. County officials say the plans go too far in restricting land use in the county’s two national conservation areas while conservationists favor more restrictive elements of the plans. 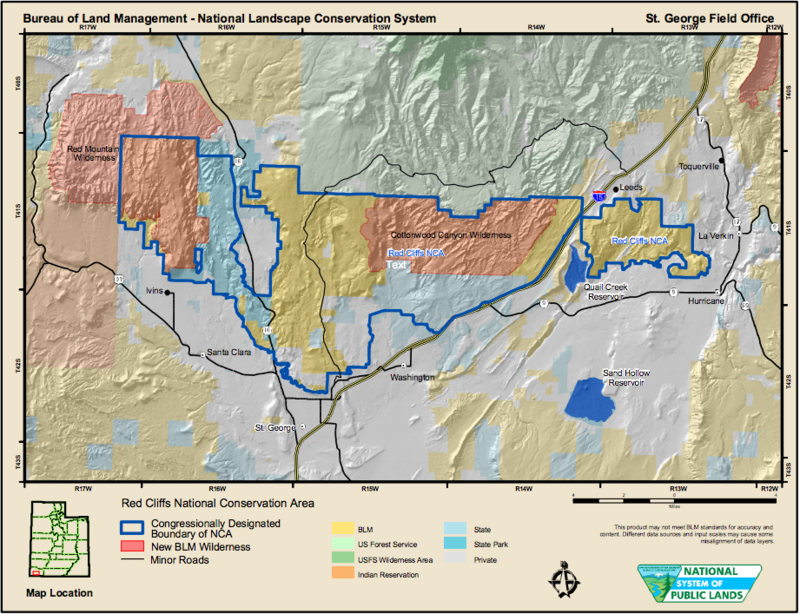 The draft management plans affect some, but not all, BLM-managed land in Washington County, primarily the Red Cliffs and Beaver Dam Wash national conservation areas. 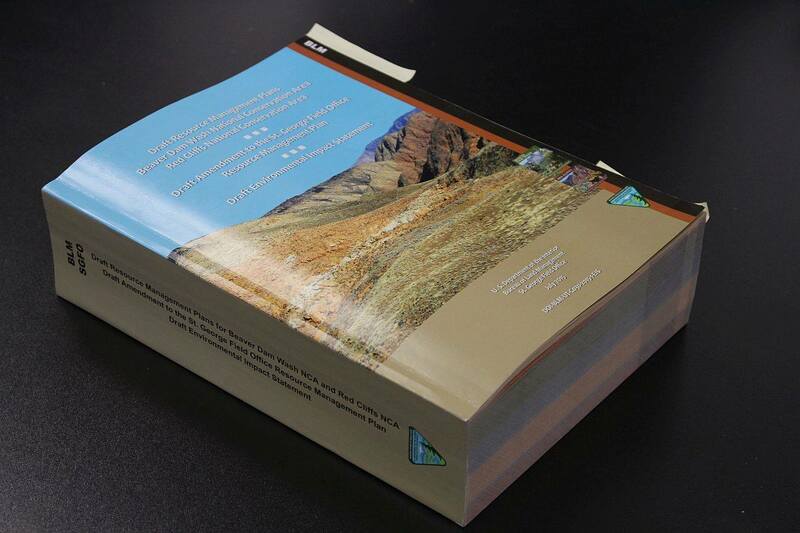 The plans were released by BLM July 16 for a 90-day comment period but county officials objected to several provisions in the plans and requested an extension of the comment period. 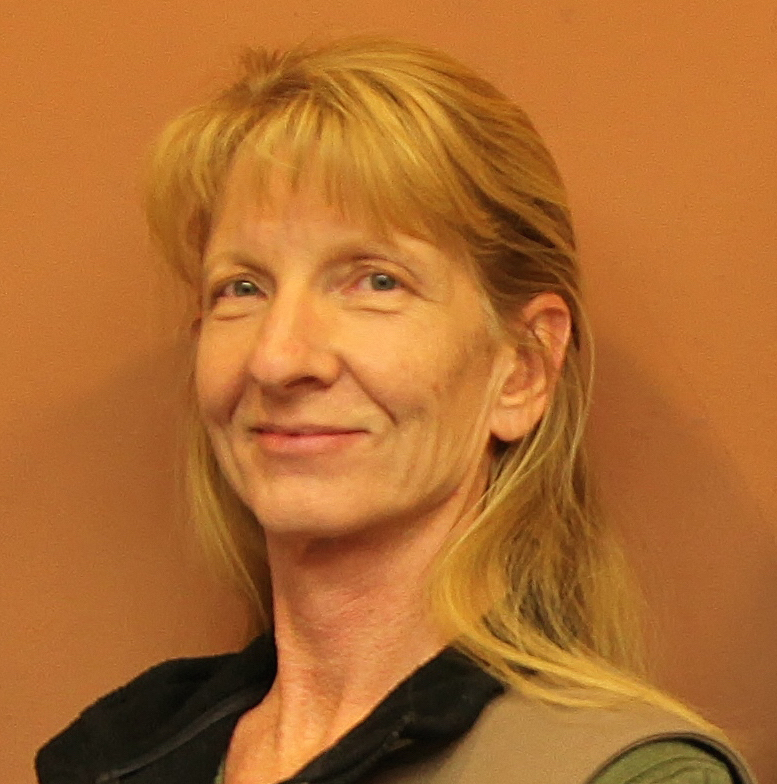 Even December 31 is still a tight schedule for the BLM, National Conservation Manager Dawna Ferris-Rowley said, as several steps remain in the process. “Right now we’re working on comments analysis. We had a little more than 6,000 public comments,” she said. The next step is developing the two proposed final plans for the two national conservation area and a proposed final plan for the RMP amendment. In addition, a final environmental impact statement is being prepared which will be opened for a 30-day public comment period. At the same time, a governor’s consistency review will happen in which the Governor’s office will analyze the management plans for consistency with state and local plans. The BLM is also preparing a biological statement for submission to the U.S. Fish and Wildlife Service based on the management actions in the proposed plans as they relate to any species that are listed as endangered. Typically, going from a draft plan to a proposed plan can be a year’s worth of work, Ferris-Rowley said. What’s the use? I believe the most valuable voice has been heard…that of those who live near and or close to this area. And still…it remains the subject at hand. This road…is not needed whatsoever! They said the same for the Southern Parkway…and the stats don’t come close to fitting the bill. It’s almost as if they let us believe we have a choice in the matter. They’ll build it. I’ve stated this numerous times…its not for the benefit of the public…its for the benefit of a certain groups pocket. It’s what lies in the ground…and the area of the supposed Northern Belt should be left for all to view and see! I grew up in this exact area and have climbed/hiked all over this area…what they will be doing is a travesty! Open your eyes…this whole area was, in my belief…inhabited by the Aztec. They are the only ones who fit the architectural characteristics. They built these faces…it was apart of their way of governing the people. For some unknown reason…they made huge faces in the terrain. Faces of animals…mostly wolves and big cats as well as faces that look human…and not so human…some scouring and evil looking. But the most important ones…were built to be seen from above…from over half a mile above our surface. Reason unknown…but view this area from above in satellite imaging. Face within face within face. There is something in common among these faces that have been found…the right eye from our POV or either the nose have been dug up…or have something built on it . And they are mostly city utilities…water tanks…and churches…most churches taking up both eyes and sitting side by side. It’s not hard to assume that there is a reasoning for this. In my belief…this is the cause for the BLM problems down South…and to the Northwest of us….these reserves are not reserves for endangered habitat. Federal reserve reserves…conservation of greed. You cannot hold the public liable…when you don’t hold yourself liable. Regardless, the BLM & associates are defacing the past and above all are not truthful in their endeavors! And yes…it is about “Au” and the fabled city that’s scattered all across the west. These people were masters of illusion…forced perspective. But a block from the boulevard…hidden…but not to all!